Welcome to the South Texas Chapter of the American College of Healthcare Executives website! 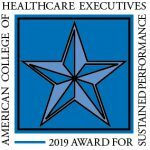 STC is the local independent chapter of the American College of Healthcare Executives (ACHE) for a geographic service area that includes approximately 50,000 square miles of South Texas. It’s an exciting and challenging time to be involved in healthcare leadership, and the STC is committed to providing a forum for advancement and excellence within our profession. Our mission is to be the premier professional membership society for healthcare executives; to meet members’ professional, educational, and leadership needs; to promote high ethical standards and conduct; to advance healthcare leadership and management excellence; and to promote and support the mission of the American College of Healthcare Executives. We had a very successful January volunteer event this weekend! Thanks to the 34 people who came out to donate their time to the Animal Defense League of Texas. Photos are available on our Facebook site. See details for our next volunteer event in February here! As the South Texas Chapter of the American College of Healthcare Executives, we are committed to providing a forum for advancement and excellence within our profession. Our mission is to be the premier professional membership society for healthcare executives; to meet members’ professional, educational, and leadership needs; to promote high ethical standards and conduct; to advance healthcare leadership and management excellence; and to promote and support the mission of the American College of Healthcare Executives. Our measure of success is defined by you, our members, and we gauge the chapter’s level of satisfaction based on the annual survey completed by our membership. More importantly, members rated their overall satisfaction with the chapter at a 4.14 (of 5) and their satisfaction with the events they attended at a 4.59 (of 5), up from 4.46 in 2017.
such topics as what would make it more likely that members would increase their attendance at chapter education and networking events, rating the importance of various chapter services, and rating how satisfied the general membership is with the current services being offered. We will be reviewing and incorporating the feedback we received in our 2019 strategic planning retreat in order to continue to provide value to our members. I would like to say thank you to everyone that responded and give a special recognition to the chapter leadership and volunteers that invest their time and talent into making the chapter a success. Photos posted of our recent events! We have posted photos for our recent volunteer event, fall education event, and awards recipients. Please check out our facebook page for all of the great images! Are you an early to mid-careerist looking for guidance and assistance with navigating the healthcare environment? Sign up for the South Texas Chapter of ACHE mentorship program! Completed applications and a copy of your resume can be sent to Lauren Travis at LMObermeier@gmail.com. Would you like to know more about our Mentorship Program?